A contemporary style design featuring a large frameless, beveled wall mirror and satin nickel hardware. This frameless large wall mirror can be tilted and adjusted for your convenience, perfect for a bathroom or vanity area. The oval design features a beveled mirror and satin nickel hardware. From the Gatco Max mirror collection. 23 1/2" wide x 26 1 /2" high x 2 1/2" deep. Extends 2 1/4" from the wall. Large oval wall mirror from the Gatco Max Mirror collection. Two satin nickel wall brackets. 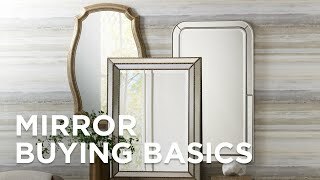 Frameless mirror design. Bevled mirror. How far out does it sit from the wall? BEST ANSWER: Hi John - this extends out from the wall 2.25".